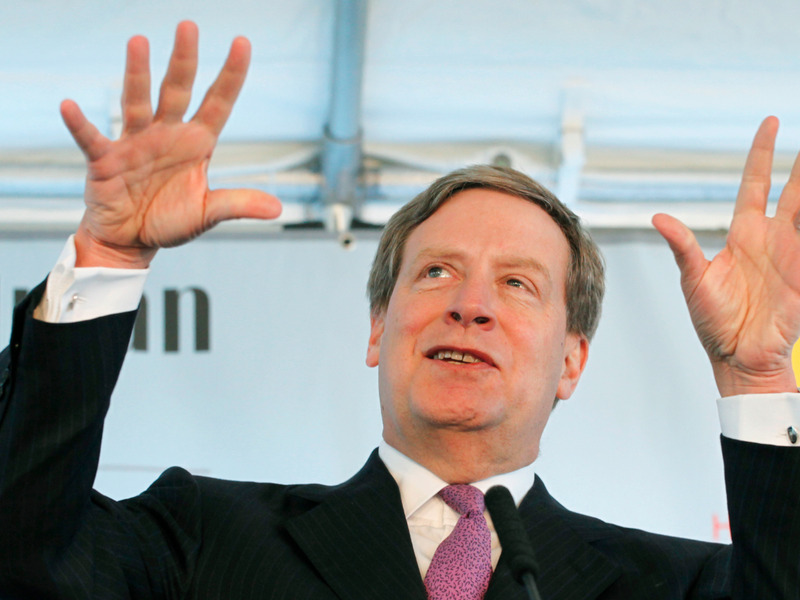 Stanley Druckenmiller is said to be making his second biggest investment in a hedge fund ever, according to a person with direct knowledge of the matter. Druckenmiller is investing in two portfolio managers who previously worked at George Soros’ family office, according to two people with direct knowledge of the launch. It will be Druckenmiller’s biggest investment since he backed PointState Capital with $1 billion in 2014, according to one of the people. David Rogers and Joshua Donfeld, who left George Soros’ family office earlier this year, are launching a fund called Castle Hook Partners, making bets on long/short equity, credit, commodities, interest rates and foreign exchange, according to one of the people. The pair may also nab an investment from legendary investor Soros, who just announced his comeback into trading, according to the person. Druckenmiller said via a spokesman that he will be “an enthusiastic investor in this new fund.” Druckenmiller, who famously broke the Bank of England when he worked alongside Soros, has backed other hedge funds, including Michael Karsch’s Karsch Capital in 2000. Morgan Stanley is set to be one of the prime brokers to Castle Hook, helping the firm facilitate its trades, according to people familiar with the matter. The launch comes as several macro managers prepare to launch new funds. Ben Melkman of Brevan Howard plans to launch a new fund, as does Chris Rokos, who raised one of the biggest funds in recent memory with $3.5 billion, according to Bloomberg. The launches come at a tough time for most new hedge funds to raise money. Coming from big brand funds can help nascent funds, along with the backing of big names. Hedge Fund Alert first reported news of the launch.